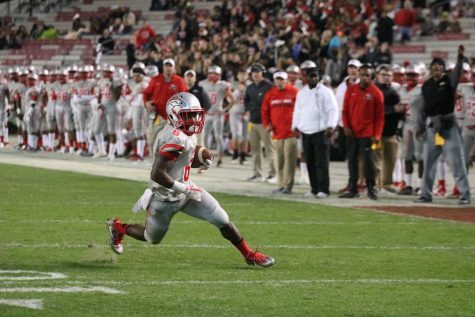 Williams-Brice Stadium was filled with a sense of revenge from the Hartsville Red Foxes after losing to the Stallions in the state finals twice out of three years. The stadium was filled with black, red, and grey, ready to see the Stallions compete for their fourth state championship ring in a row. In the beginning of the game, South Pointe dominated over Hartsville leading at the end of the first quarter with a score of 14-0. In the second quarter, neither side was able to score a touchdown and was at a standstill. It wasn’t until the final minutes of the first half when Hartsville scored, putting the score at 14-7. This put fire under the Stallions right before the half. Coming out of halftime, the Stallions had a sense of urgency that was present in the rest of the game. For the remainder of the game, the Stallions had full control, putting up a total of 35 points on the board while Hartsville only had 14 points. 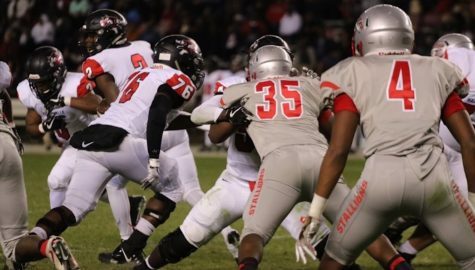 The Stallion defense was able to keep the total amount of points for Hartsville low because of key players, such as Defensive Lineman Jalen Pickett-Hicks. Hicks was able to come off of a week of no practice, due to injury, and start in the state game. DL Jalen Pickett-Hicks (#35) fights off the opponent. Despite his previous injury, Hicks was able to contribute to the team in a tremendous way. This shows that the Stallion defense is able to keep a spark alive despite setbacks. The defense’s determination to keep Hartsville from scoring is ultimately what helped to captured the win. Not only was South Pointe’s defense able to put on a show, the offense proved once again that they are a force to be reckoned with. The quarterback keepers and the strong force in Running Backs Marice Whitlock and Joe Ervin kept the Stallions in front after halftime. Implementing a strong force of run plays was crucial in ensuring the lockdown win. RB Marice Whitlock runs the ball into the end zone for a touchdown. “This win meant a lot to us because a lot of people doubted us and thought we couldn’t make it. 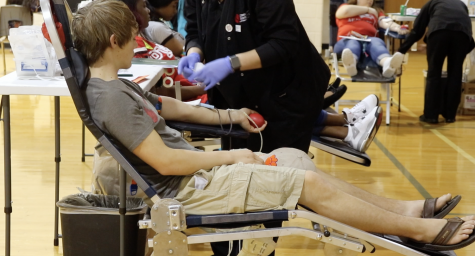 We wanted to prove that we’re the best team in South Carolina,” said Whitlock. The exposure to success, this year, is going to drive the winning in the years to come. For the years to come, opponents from all around the state, know about the football program at South Pointe High School. The running back core is a threat for opponent because of how young, but explosive they are to our offense. 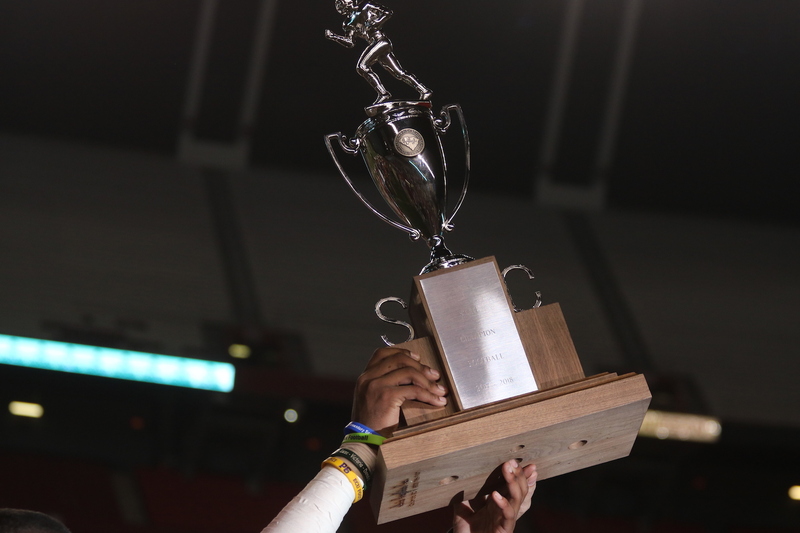 Winning state championships are hard to come by for some programs around the state. Winning four state titles in a row shows the talent that is within Coach Herron and the program that he has built from the ground up.